Deputy Women, Family and Community Development Minister Hannah Yeoh said the statistics showed the abuses came from sitters, close family members or individuals. Pic by NSTP/ROSLIN MAT TAHIR. SHAH ALAM: More than 20,000 abuse cases recorded for the past five years in the country involved children. Deputy Women, Family and Community Development Minister Hannah Yeoh said the statistics showed the abuses came from sitters, close family members or individuals. “If we don’t prevent this issue now by rehabilitation, those more than 20,000 abused children might repeat the act when they grow up. “We don’t want them to think that abuse is normal. We need to tend to them with therapy and rehabilitation to ensure they don’t repeat the act when they are older and have their own children,” she said after launching Children’s Festival and closing the National Early Childhood Education Week at Management Science University (MSU) here today. Also present were MSU president Prof Tan Sri Dr Mohd Shukri Ab Yajid and ECCE chairman Datuk Dr Chiam Heng Keng. Yeoh also said that early childhood education is not just an industry as it involves important and fragile lives. “Children are this country’s assets. In Malaysia, 30 per cent of the population are children. “We often neglect children’s needs and interests, thinking it wouldn’t affect our lives. We need to change this mind-set,” she said. 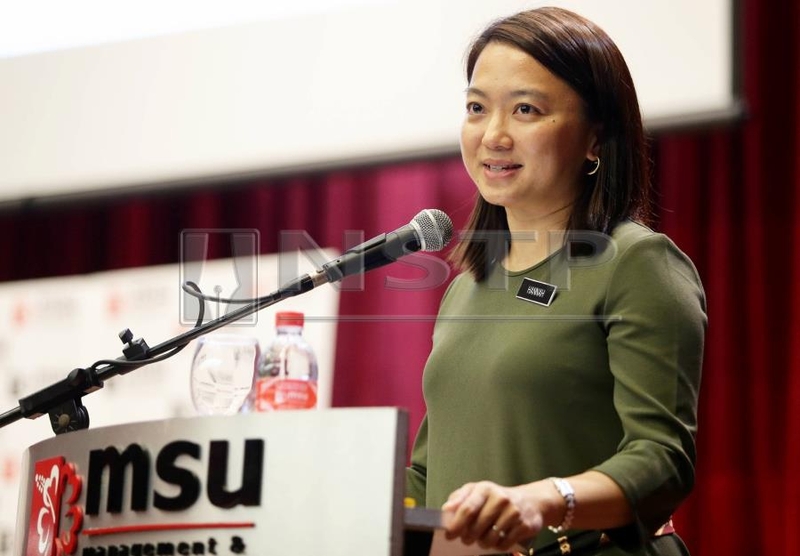 Yeoh also advised graduates or those wanting to venture into early childhood development industry to always be alert with their surroundings. “The government’s responsibility is to make sure that those in the industry are not just to care for children only. “We need them to act swiftly if they notice any signs of abuse on the children under their care. “If the children are abused by their family members, those people are the closest people to provide a safe haven for these children,” she said.